Bust the Bank is easy to play and you can't miss the many features and possibilities as they will jump in your face. When playing, you will probably notice very quickly that there are no standard symbols on Bust the Bank. All animations on this slot have to do with the overall theme: bank robbery. The animation with the name of the slot written on it functions as the wild symbol. Additionally, you will want to pay attention to the safe box on the first and last reel. Namely, this box could lead to a great win. The sizable bomb is the scatter, which will help you to free spins. Bust the Bank by Microgaming looks like an ordinary slot but looks couldn’t be more deceiving. Even though at first glance, the slot looks standard with its layout of five reels and three rows, it’s jam-packed with extra features and prizes. 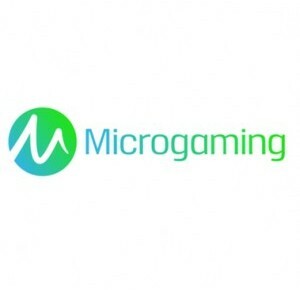 Additionally, Microgaming has used moving animations which do more than just go up and down. With this, Bust the Bank very much is a complete slot with a bonus game, free spins with a special feature, and quite some more different little features all capable of making you some money. How to play Bust the Bank? Bust the Bank is easy to play and you can’t miss the many features and possibilities as they will jump in your face. When playing, you will probably notice very quickly that there are no standard symbols on Bust the Bank. All animations on this slot have to do with the overall theme: bank robbery. The animation with the name of the slot written on it functions as the wild symbol. Additionally, you will want to pay attention to the safe box on the first and last reel. Namely, this box could lead to a great win. The sizable bomb is the scatter, which will help you to free spins. Bust the Bank is equipped with free spins with an additional special feature. When the scatter lands on your reels at least three times, you will go on to play free spins. During free spins, criminals are on your side. Namely, they will turn the entire first and fifth reel wild, meaning a significant increase in your chances to win. On the other hand, the two entire wild reels do mean that your chances of winning extra free spins have declined. Bust the Bank has even more great features. The first extra feature revolves around the safe box which can only land on the first and fifth reel. The other extra feature revolves around the piggy bank which can only land on the middle reel. When the safe box lands on either the first or fifth reel, you will be awarded a prize. Additionally, this safe box is also capable of creating more prizes with its falling coins. The piggy bank on the third wheel, of course, is a fun feature with respect to the overall theme. By clicking on the piggy bank, it busts open and you receive its content. Also, pay attention to the two burglars as they will bring about extra prizes as well. Bust the Bank does not have pay lines as it has 243 ways to win. This is a great number on a slot like this but the system of ways to win does mean that you cannot alter your chances of winning. However, you can, of course, still determine your total wager. You can do this by altering the number of coins and the coin value. Bust the Bank does not have a jackpot and that’s a shame. That is, a jackpot would have been a beautiful addition also seeing as the theme really lends itself to a great bonus or progressive jackpot. On the other hand, Bust the Bank doesn’t really need something extra.